Well, unfortunately, cold and flu season is here, and I caught a doozy of a cold this week while traveling. I’ve even lost my voice, which has been no fun and I’ll tell you more about that in a future post. Needless to say, I’ve been going through tissues like crazy, which reminded me that I’ve been wanting to share this quick and easy tissue holder with you. 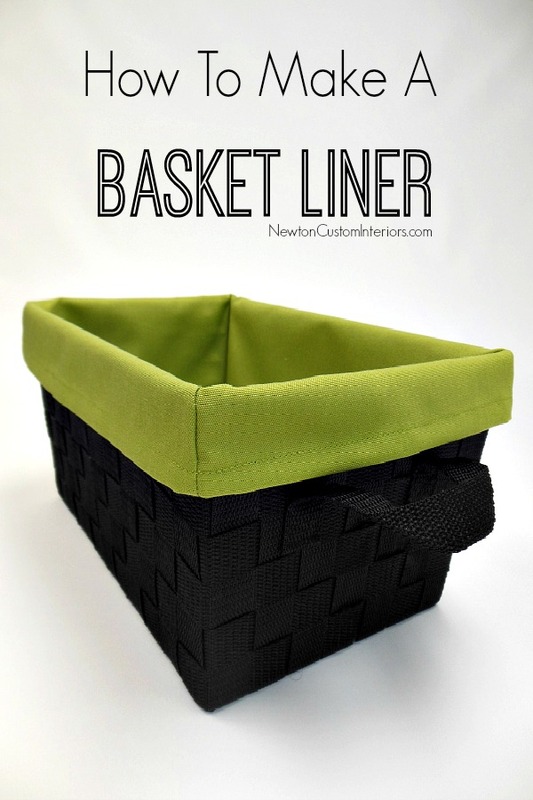 This project is so quick and simple to sew. Really, it only took a few minutes to make. If you wanted to make several of them, you could make them assembly line style and make them even quicker. 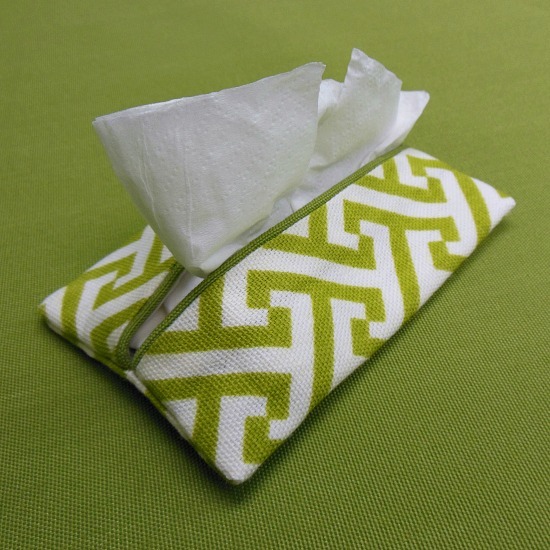 This tissue holder makes a great teacher’s gift or stocking stuffer. Who doesn’t carry tissues around in their purse or bag? 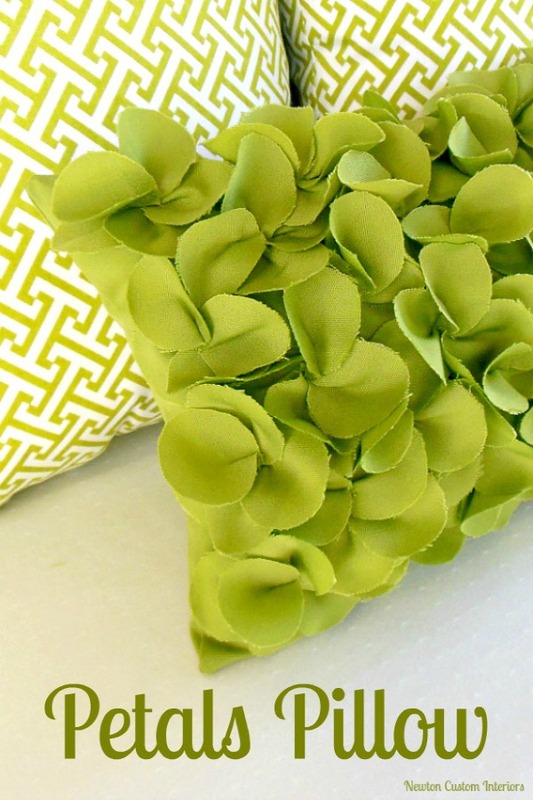 They also come in handy if you make them from the leftover scraps of a home decor project. 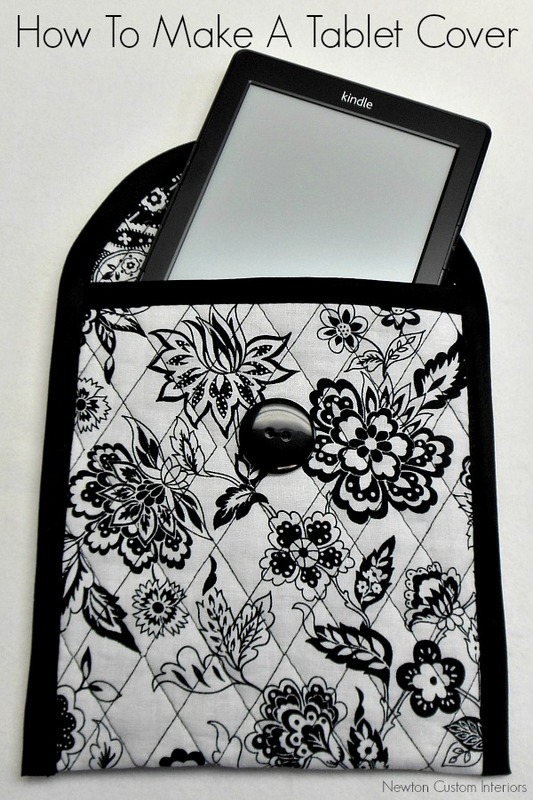 You’ll always have your fabrics available in your purse if you need to match your fabrics when buying accessories or other items for the room. The tissue holder is a great use for those little fabric scraps that are too small for most projects. I used some scraps from some pillows that I made. 1. 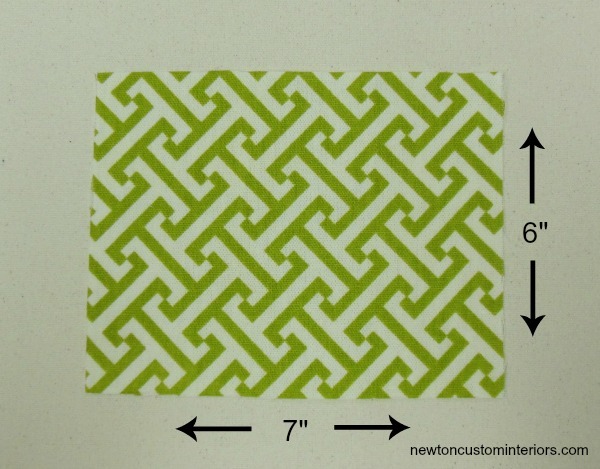 Cut a 7″ wide x 6″ long rectangle from your face fabric. 2. 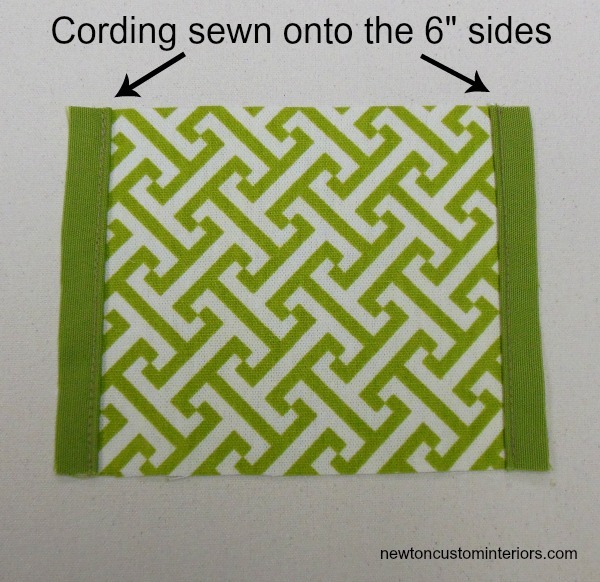 Cut the same size rectangle of lining or inside fabric. 3. Make 12″ of small cording. I’ve written a post about how to make cording, if you’re unsure of how to make it. 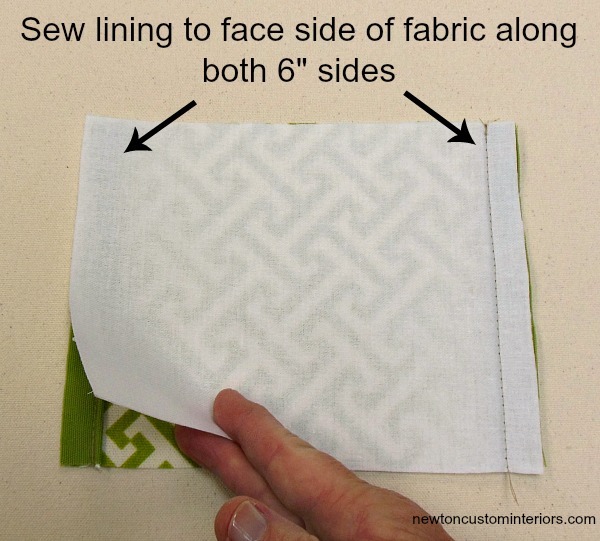 You can also skip this step and #4 and use a second fabric instead of lining for the inside of the tissue holder. 4. Sew cording onto the face side of the 6″ ends of fabric. 6. Turn right sides out and press. 7. 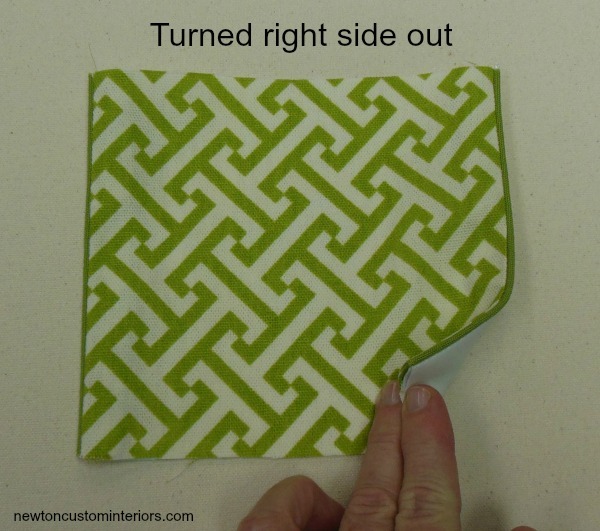 Fold cording edges so that they meet in the middle. Wrong sides out. 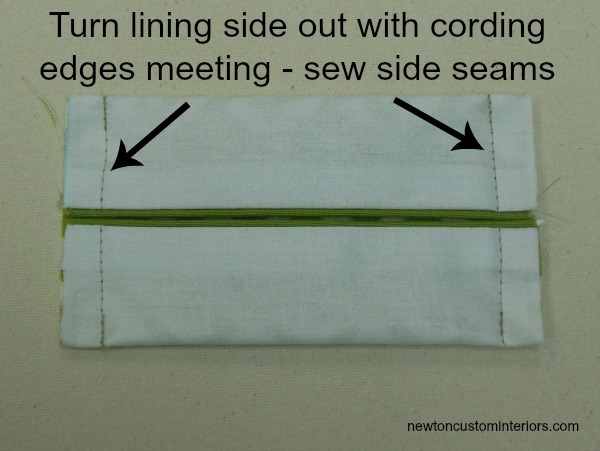 Sew along the two end sides using a 1/2″ seam allowance. Serge ends so they don’t ravel. If you don’t have a serger, you can zig-zag or use pinking sheers on the ends. 8. Turn right side out and insert your tissues. 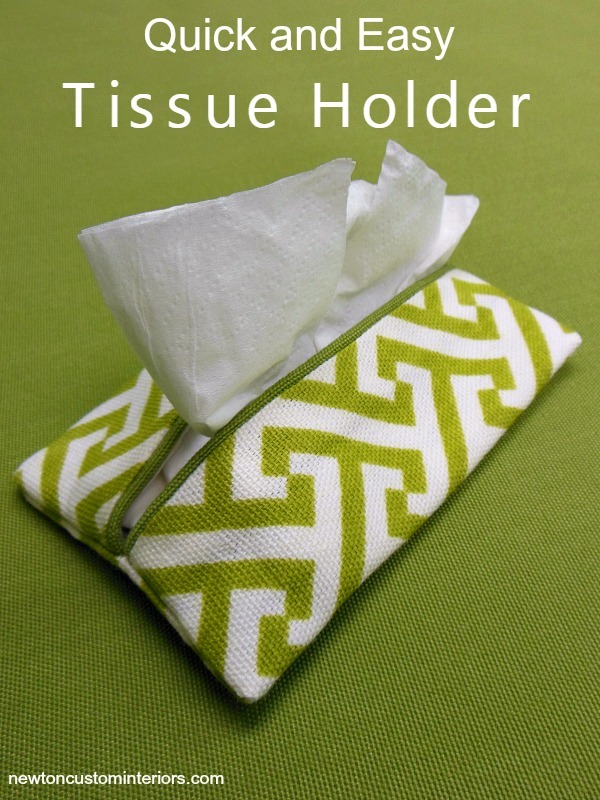 I hope you enjoyed my quick and easy tissue holder tutorial today! KEYUTE!! And welcome home! Sorry about the cold! This is so pretty with the cording. I like quick and easy. Thank you for sharing. I’m going to give a friend’s daughter some sewing lessons. This looks like a great beginner project. Thanks for sharing. Angela, this would be a great beginner sewing project! Wendy, sure you can make these! Very easy. Good luck! This is so cute. My teen fashionistas are always remarking how the plastic tissue packs from the grocery store are ugly. I could make them (or they could make them themselves) a cute, fashionable cover now! 😉 Pinning! Thanks Kim! They would make great stocking stuffers for your teens. Great tutorial and they are so so cute! I don’t sew much, but I think even I might be able to pull this off. Thanks so much for sharing. Pinning for later! Thanks Jill! Yes, that’s a great idea to use the tissue holder as home ec project! I really like this idea! My grandmother used to make these and I’ve been using her pattern but I love your addition of piping to the opening. This really dresses it up tremendously. Thanks Mary! I love pipping or cording as an added detail for a lot of sewing projects. I watched the video to learn how to sew cording. Soon I’m going to make this tissue holder. Looking forward to the finished product. Thanks Shirley! I’m so glad the cording video was helpful. Good luck with your tissue holder! Hi. A project that should be a few minutes turned out to be a few hours! Not because of the tutorial I made a few mistakes along the way. Here’s a picture of the end result. whoops! I don’t know how to attach a picture. Shirley, sewing mistakes are very common around here! Unfortunately, they do slow us down. I’ll bet that if you make more of these tissue holders, they’ll go much faster now that you’ve made one. This looks really clever & unusual–a great idea for Christmas gifts. What is the material you used for the cover? I go to a fabric store and get overwhelmed very quickly, so usually end up with a thin cotton print. This looks much better than that. Thanks Tom! It’s a home decorator fabric, so it’s heavier than a cotton print. I bought it a couple of years ago at my local Hobby Lobby. I’m making a list of supplies to make one of these this weekend. I want to add an elastic to attach it to the passenger visor in the car. No more smashed tissue box tossed around in the car! Safia, what a great idea to add elastic! Love it!